Citizens Committee for New York City’s mission is simple: to help New Yorkers – especially those in low-income areas – come together and improve the quality of life in their neighborhoods. Residents are uniquely situated to define and act on the issues affecting their communities. When provided with modest support, neighborhood and school groups can effectively mobilize community resources to improve quality of life. 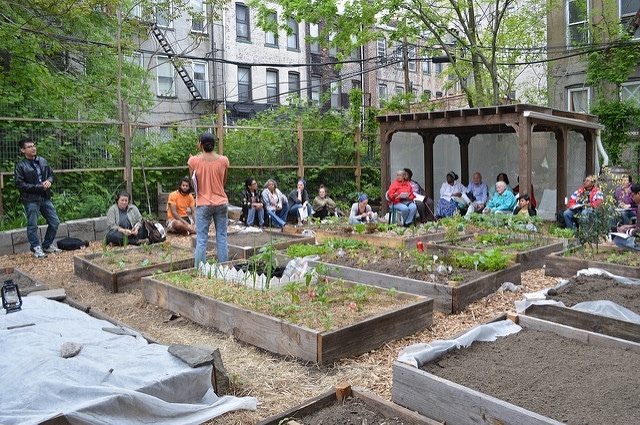 Citizens Committee for New York City supports these grassroots efforts by offering grants, skills-building workshops and further technical support in the form of project planning assistance and an equipment loan library. Since 1975, we have promoted the spirit of volunteerism, local engagement and social justice that drives our work. 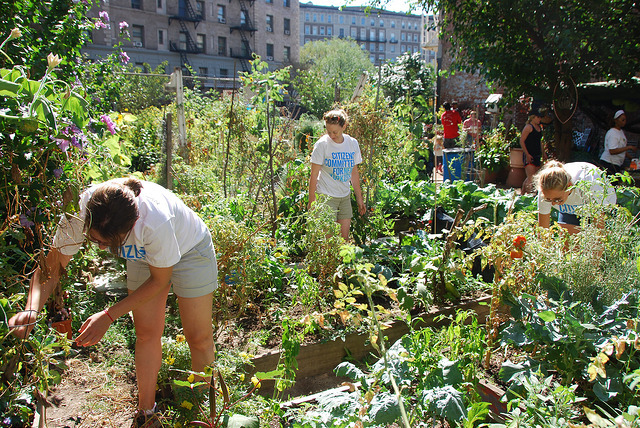 Since access to fresh food, green space, and education are often issues concerning New Yorkers we’ve supported countless gardens since our creation! 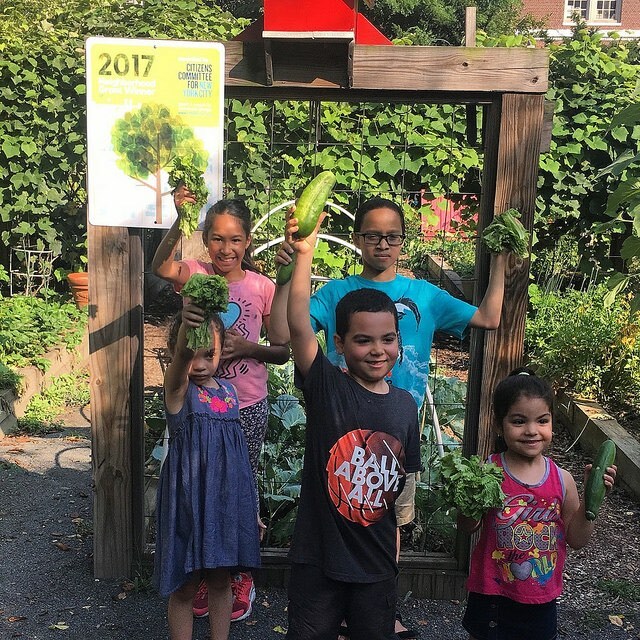 We've watched New Yorkers harvest vegetables alongside neighborhood children, teaching them about science and nutrition at the same time. The more we grow, the wider our reach, and the more we can enable New Yorkers to better their communities. 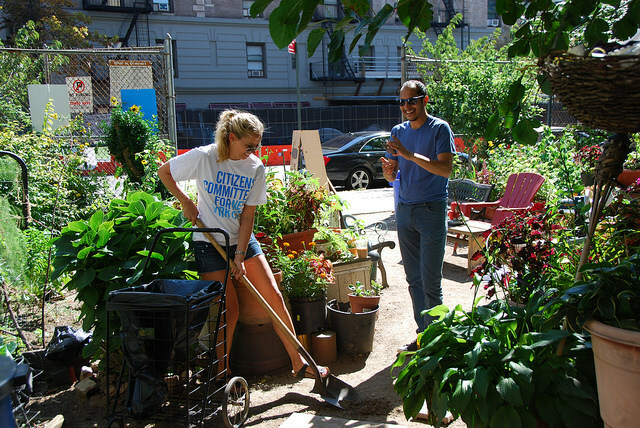 If you are interested in applying for our grants and services please visit us online at citizensnyc.org. Referred to as “Mother Earth” by the New York Daily Times, Ena K. McPherson is a retired financial assistant that holds the keys to three community gardens in Bedford-Stuyvesant. 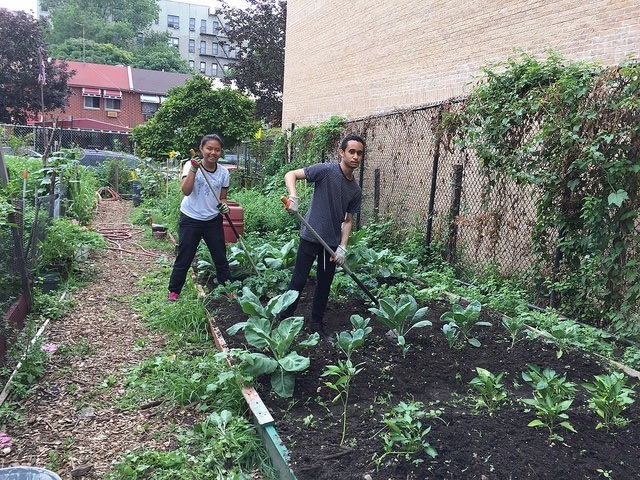 She also serves on the operations committee for the nonprofit, Brooklyn Queens Land Trust, which holds the deeds to 32 gardens plots. 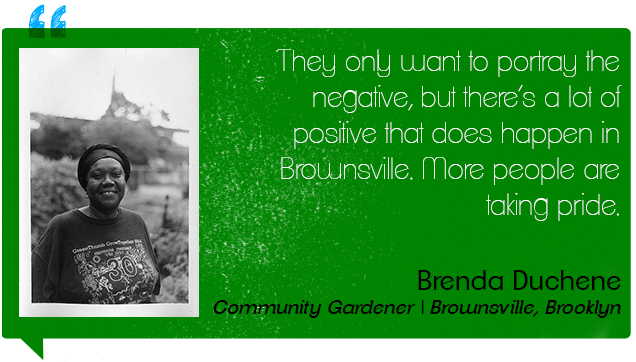 Using gardens as a tool to strengthen and build community, she hopes to inspire and empower neighbors through horticultural pursuits. Named in 2012, alongside Beyonce and Oprah, Karen Washington ranked in Ebonymagazine’s “Power 100” of influential African-Americans. With her strive to make New York City a better place to live, Washington has worked with Bronx neighborhoods to run empty lots into community gardens, created a City Farms Market, and continues to speak out for garden protections and preservation. Awarded the President’s Call to Service Award by the White House, Brenda Duchene’s founded Isabhalia Ladies of Elegance in Brownsville, Brooklyn. 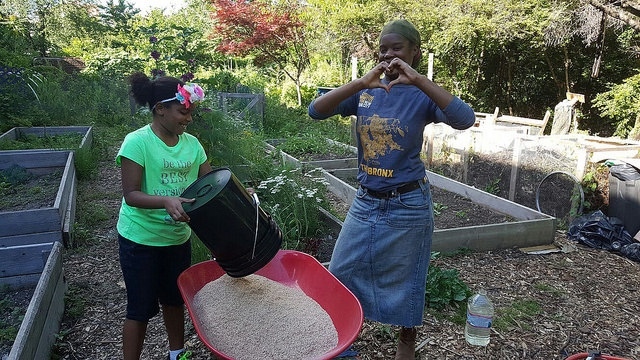 Seeking to provide the community access to affordable, fresh, and healthy produce, she turned to urban farming. 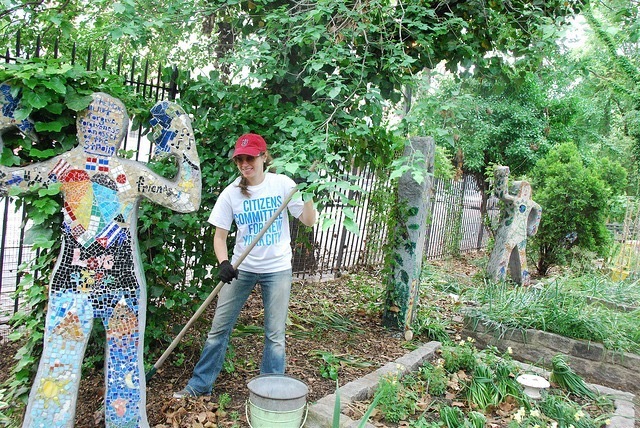 She also focuses her nonprofit around engaging residents in a variety of different gardening and skill workshops. Sheryll Durrant works alongside Kelly Street Garden Committee in providing opportunity for all community members to take part in gardening. Empowering and transforming the community of Kelly Street with workshops. Durrant seeks to change the narrative of Kelly Street into a healthy and sustainable environment and community. 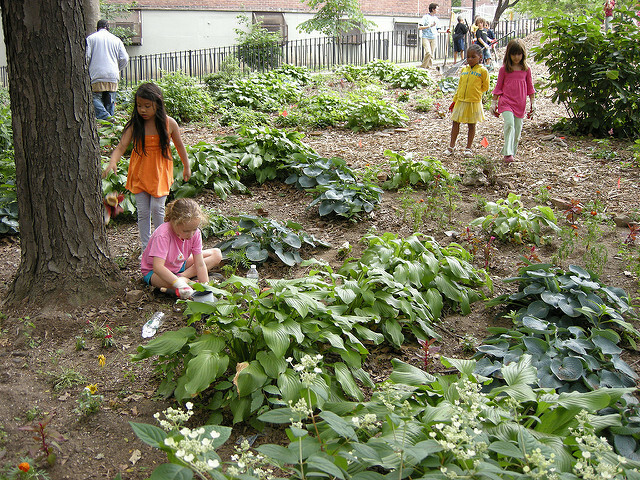 Prior to moving to the Bronx, Sheryll was involved with Sustainable Flatbush in Brooklyn. -Story contributed by Marina Gonzalez Flores, Citizens Committee for New York City.